Join us for good times and good beer at our pilot brewery and bar in San Francisco’s Potrero Hill. 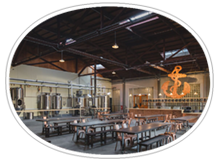 Anchor Public Taps is located at 495 De Haro Street in San Francisco’s Potrero Hill district. Street parking is available and public transportation stops are nearby. 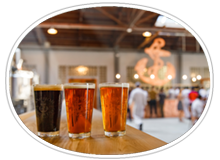 Public Taps is a gathering place for San Franciscans and for the many visitors seeking a one-of-a-kind San Francisco experience. Nothing makes a day in this magical city better than sharing San Francisco’s original beer with friends. 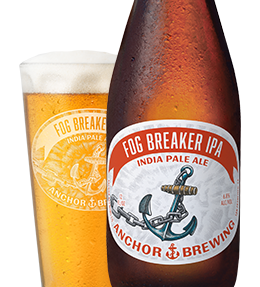 Anchor Steam® Beer started as a quirky little innovation that utilized our foggy climate to cool the beer on rooftops. Today, our family of brewers embodies that original spirit as we invite you to take a peek behind the curtain and see innovation at work in our local brew pub. It’s here that you’ll find The Potrero Project; a collection of beers exclusively brewed in our pilot brewery for our Public Taps guests. We’ll also have some of the best local food trucks scheduled daily, as well as a calendar of special events. Anchor Public Taps hosts a lively calendar of social events. 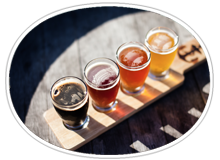 From beer education and specialty beer releases to DIY crafting, from game nights to BYO-Dog happy hours, there is plenty to keep you, your friends, kids, and dogs entertained! -Grab your friends and join us for the Warriors game shown on our 8k lumen laser projector and 189” screen! -Pair the game with any of the 19 handcrafted beers on tap! -Join us every Friday for the release of a new, limited beer available exclusively at Anchor Public Taps! -Grab your friends and join us every Tuesday for free trivia with Geeks Who Drink Pub Quizzes! 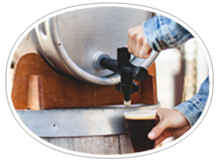 -Great prizes and tasty brews! 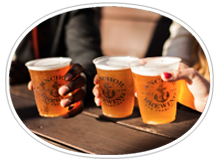 -Enjoy 19 Anchor beers on tap, including classic brews and limited releases. Plus, celebrate Taco Tuesday with the taco culinary pop-up onsite. Cali-style Mexican food pop-up featuring tacos, nachos and more. Classic American cuisine and seafood. Q: Is Anchor Public Taps family or dog friendly? 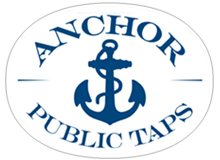 A: Anchor Public Taps is family friendly, and dog-friendly on the patio. Close parental supervision is required. Q: Can I bring a non-Anchor growler and have it filled? A: Yes, under the condition that the growler size is marked (32 oz. and 64 oz. only) and any branding is covered (we recommend using painter's tape or black saran wrap). 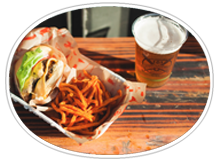 A: Yes, we have a delicious and diverse rotating schedule of food trucks onsite. No outside food is permitted when food trucks are onsite. Q: Do you serve wine, spirits, or non-alcoholic beverages? A: We do not serve wine or spirits but we do have a rotating flavored sparkling water on tap. Q: Do you sell merchandise? A: Yes, we sell a variety of Anchor merchandise onsite from apparel to glassware and more! Q: Can groups reserve a table? A: Street parking is available. Q: What happens if I leave my tab open and credit card at the bar? A: We close all open tabs at the end of every night. 18% gratuity will automatically be added and your tab will be closed. Please pick up your credit card at the bar during business hours.